The underground punk music scene is thriving in Los Angeles, especially at pop up back yard parties. 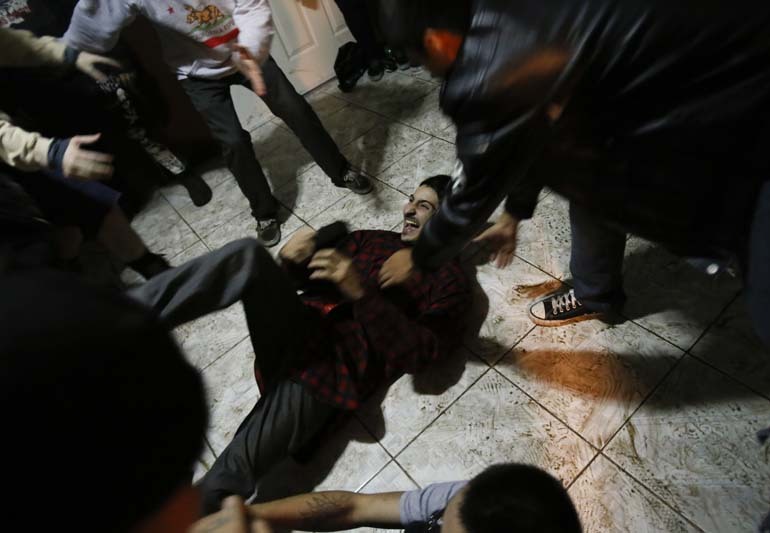 A man is helped up after falling to the floor of a living room turned "mosh pit," in a dilapidated house in South Los Angeles. Bands play at full volume and organizers avoid pricier neighborhoods where they are sure to be shut down by local law enforcement.